To help you get started with Articulate Quizmaker '13, we created this series of beginner tutorials to walk you through creating your first quiz using many of the most common features. They'll help you get up and running quickly. They're not exhaustive tutorials, but they do cover the basics. If you want more specific details, see the in-depth Quizmaker tutorials here. If you have a question, feel free to jump into the community forums and ask. 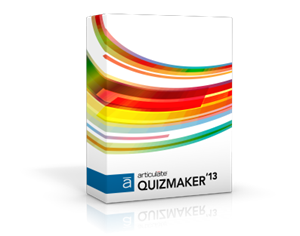 Articulate Quizmaker '13 has been redesigned with a streamlined user interface, support for custom quiz sizes, more media options, and additional question types. And with options for importing questions from spreadsheets and text files, it's never been easier to create beautiful, dynamic assessments. Watch this overview of Quizmaker, then jump into the video tutorials and practice activities that follow.